ECO2school is the Center for Climate Protection’s youth leadership program. It inspires young people to take action for immediate greenhouse gas emissions reductions while promoting long-term personal and community environmental action. The most accessible and impactful action young people can take is changing their transportation habits. 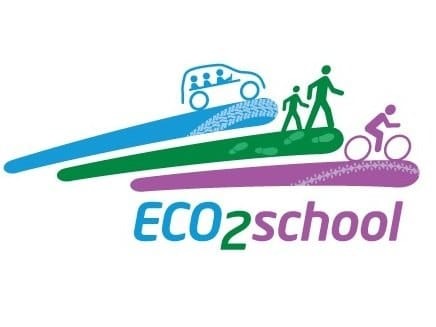 ECO2school encourages students to take greenways to school and/or use alternative low carbon commute options. We use a service-learning model working with student leaders in high schools across the county to bring real life learning applications to schools that support healthy living, safe low carbon commutes, traffic decongestion, and improved air quality for the entire community. ECO2school currently operates in 15 of the 19 Sonoma County public high schools, and is aiming to have a presence in all 19 schools. ECO2school focuses on activities that educate, reduce CO2 emissions, and build awareness about climate change. Learn about the program’s most recent achievements in the ECO2school 2014-2015 Program Impact Report. ECO2school provides a manual to orient a school team of student leaders and teacher champions to the main aspects of ECO2school and to guide them through a step-by-step process to implement the project – planning, preparation, outreach, implementation, evaluation, and follow-up. It includes some ready-to-use templates that students may use or refer to throughout the project. The manual is based on the experiences of high school students and teachers of Sonoma County who implemented the ECO2school project in their schools, organized by the Center for Climate Protection. Download the manual here. Download Tools and Templates. Learn more about ECO2school on the website, www.eco2school.org.